PriceMole Shopify Users now have the power of the worlds most advanced eCommerce index tool at their fingertips. 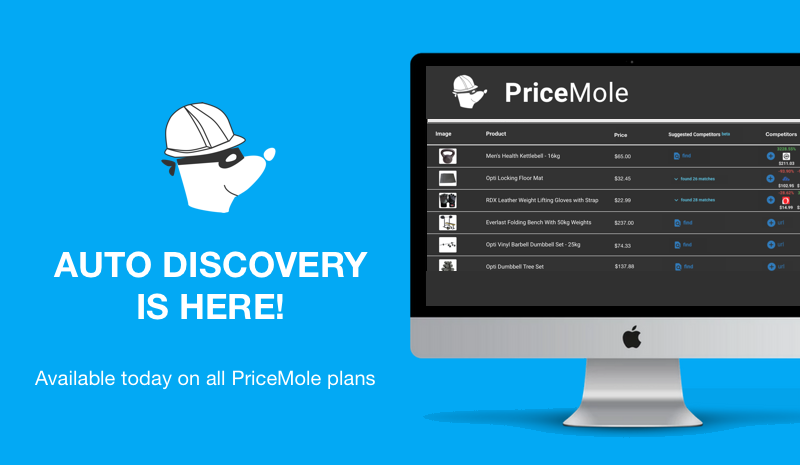 With over a billion unique SKUs and new data added daily, PriceMole users can automatically match their products with competitors. PriceMole organized data sets allow you to match products with competitors/suppliers instantly, instead of manually entering each competitor URL. "Automated Matching has been the most requested feature for us, as manually entering data is very time consuming for retailers. We have been working for months and are excited to release the first version of the feature today and are happy to receive feedback from our Beta users to improve any future versions." Give it a try on Shopify today and start automating your competitor price tracking! Coming soon to BigCommerce, Magento, WooCommerce, ZenCart, etc.